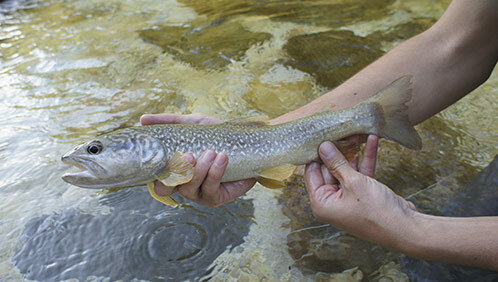 Guided fly fishing trips in Slovenia. Fly fishing the best clear alpine rivers and chalks streams in Slovenia! Fly Fishing in Slovenia is like a dream! 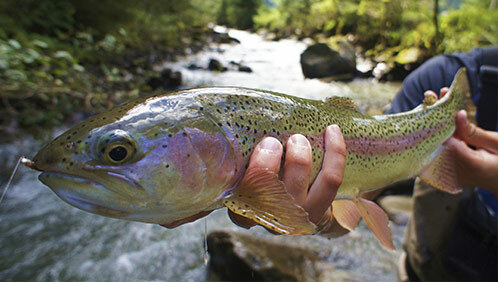 Slovenia is one of the best destinations in the world for fly fishing holidays. Our independent fishing travel company is located on the small alpine town of Bovec at the head of the soca valley, next to the spectacular Triglav National Park, which is surrounded by the best Alpine Slovenian rivers for fishing Brown Trout, Rainbow Trout, Marble Trout, Brook Trout, Danube Salmon and Adriatic Grayling. 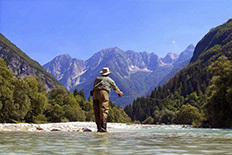 Welcome to Slovenia fly fishing, the paradise on the sunny side of the Alps! Base in Bovec or Tolmin: The best rivers of Slovenia within a radius less than 1h. Unique and strategic location. 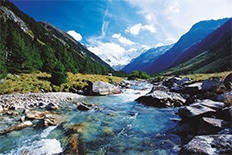 Fishing tour in the Alps using two operation centres: Tolmin and Mitterssill. In Slovenia we have selected two lodges strategically located for offer the best fishing guarantees depending of the time of year. This operation centers be found located in Bovec and Tolmin. In them you will find a familiar treatment and an excellent service.